World War One Victory Parade Dress - Due to the outcome of WW1, Germany's economy was devastated. 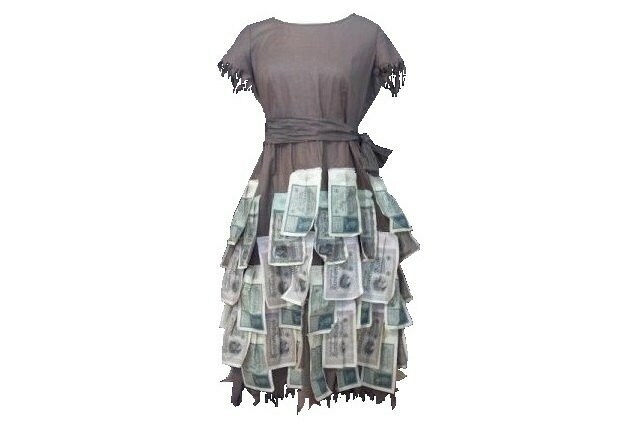 The look of rags was a political statement of the times, because the dress skirt is covered with real banknotes. The hyper inflation in Germany meant workers were paid twice a day and everyone had raises twice a day - a loaf of bread cost an entire box of notes! We believe the fringed effect may have been the social phenomena that led to the celebratory fashion trend of the 20's fringed flapper dresses. 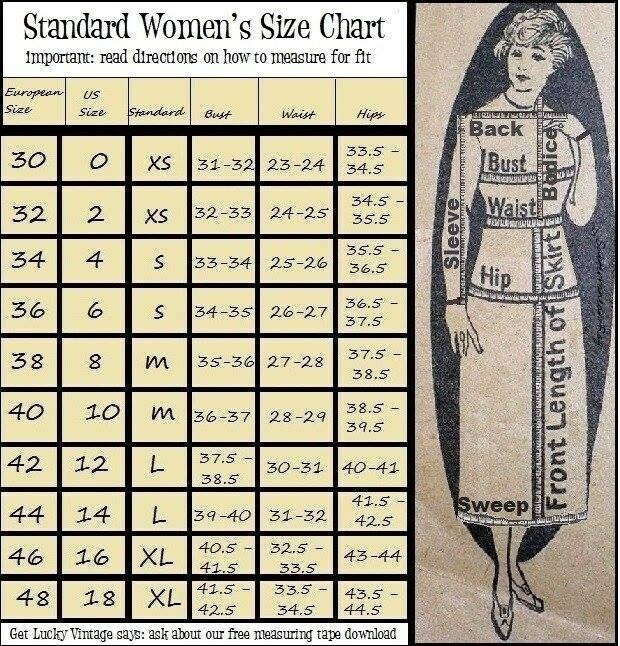 Made from brown cotton that was slightly faded before the dress was made (due to where the subtleties of fading are located on the dress). This would be consistent with the purpose of the dress - why use perfect, expensive fabric for a one-time costume meant to be a Pauper's Dress? Fastening methods: Left side placket of snaps, with a hook and eye at waist. Self-tie sash has banknote on each end. 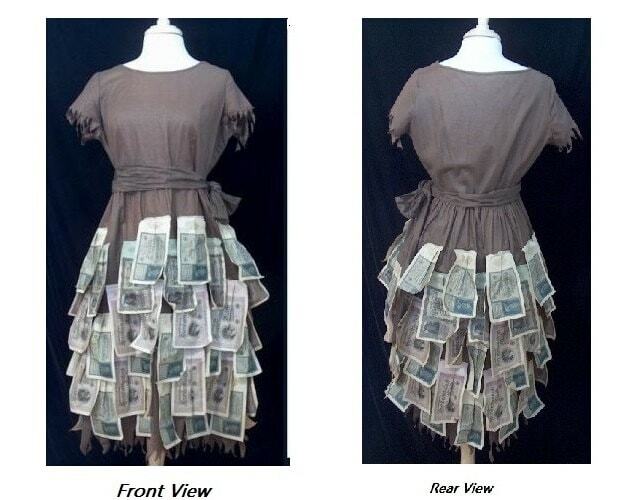 Full Length (shoulder to hem): 42"
Banknotes are crisp, and not brittle. No changes or alterations have been made. One torn banknote at the left, rear hip. Note the use of vampire notes. Only known one to have survived. Museum quality. Please visit our store policy page prior to purchase - some countries do not permit importation of money. Please inquire if shipment is permitted to your country, as well as shipping quotes.